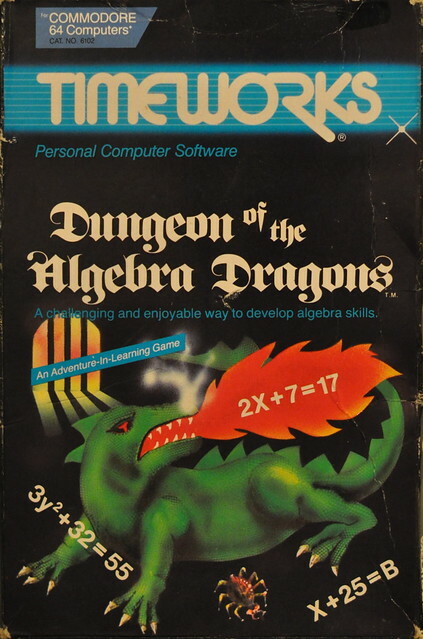 There’s a demo on YouTube of Algebra Dragons from 1985 that appears to be a sequel to this game. 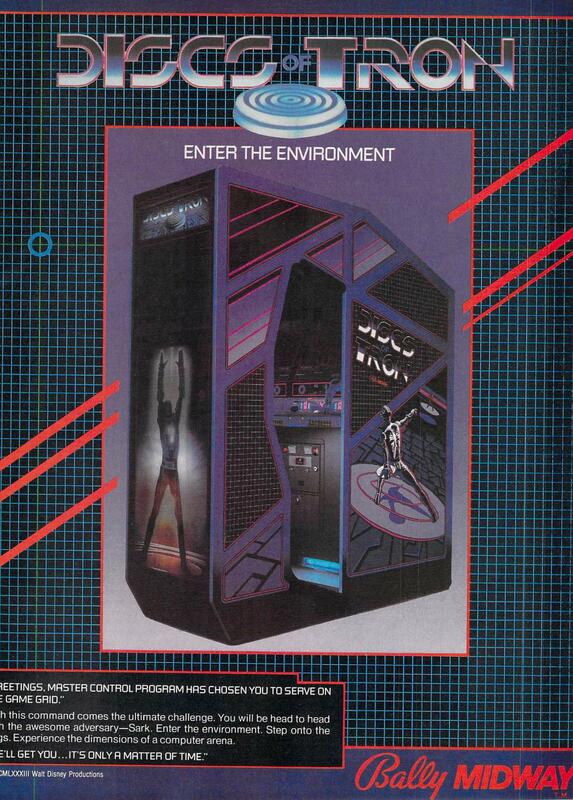 “Press -C- to continue” brought back some memories. 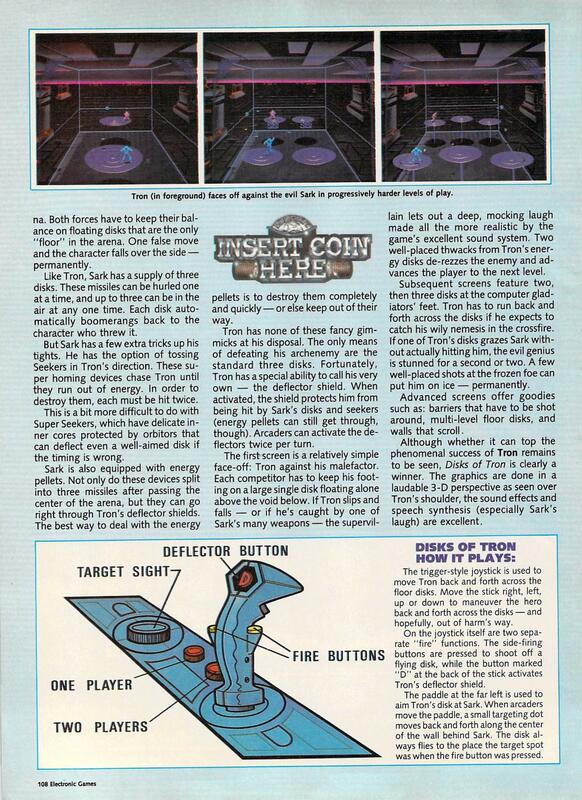 Clever concept for a game. 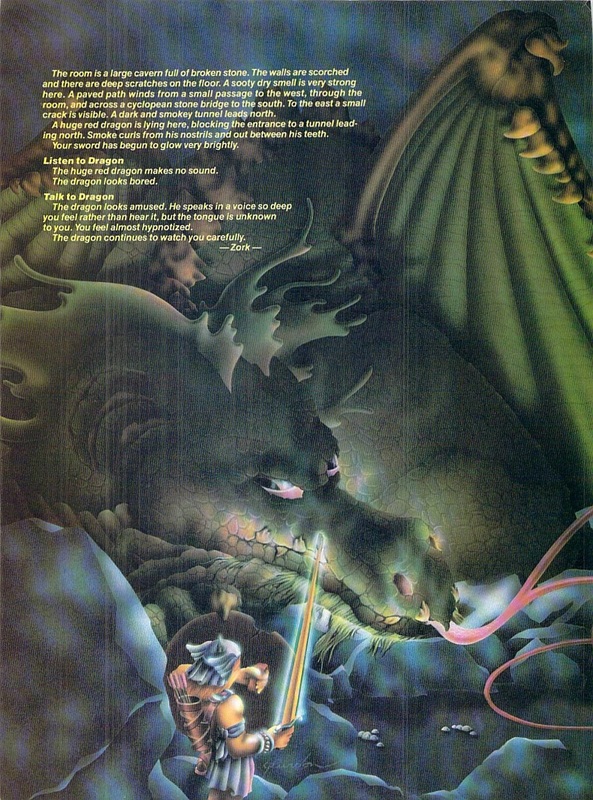 Still, I wouldn’t have made it past the first dragon. Images are via Flickr. Click through for a bigger view. 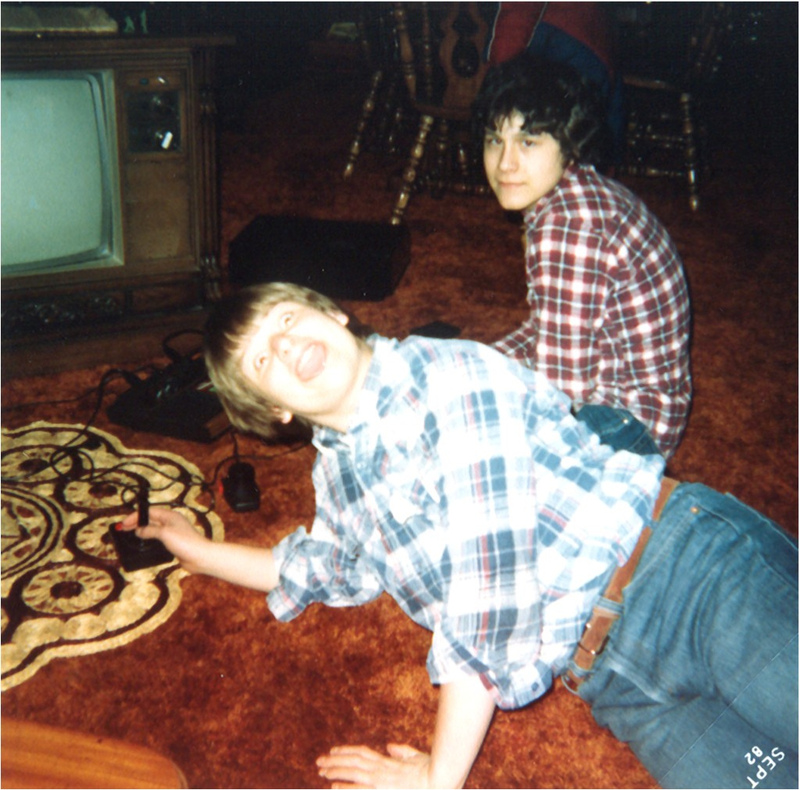 Via Wesley Stuart Smith, who is spotted here the following year getting cozy with a VIC-20. Traitor! I’m running a special guest post tomorrow. I’ll be back next week. 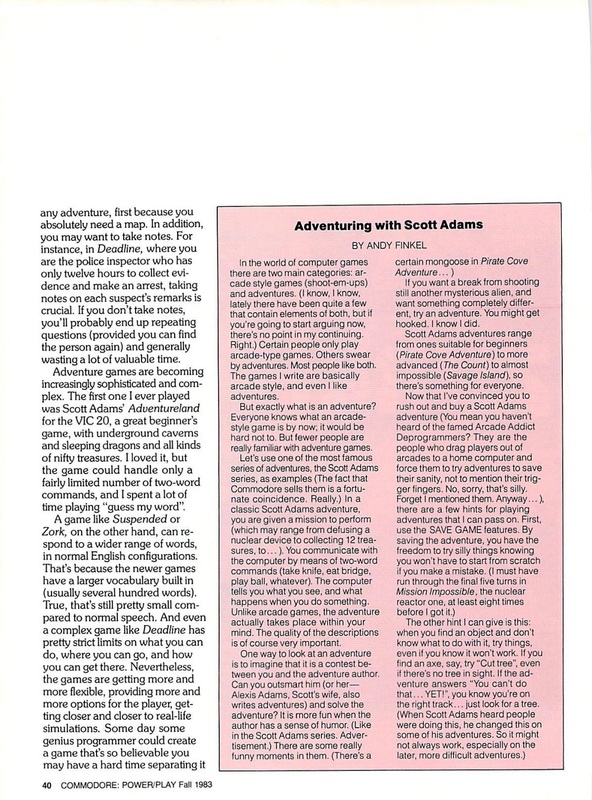 The Scott Adams mentioned in the article wrote the first adventure game for the PC, Adventureland (1978), and went on to found Adventure International. 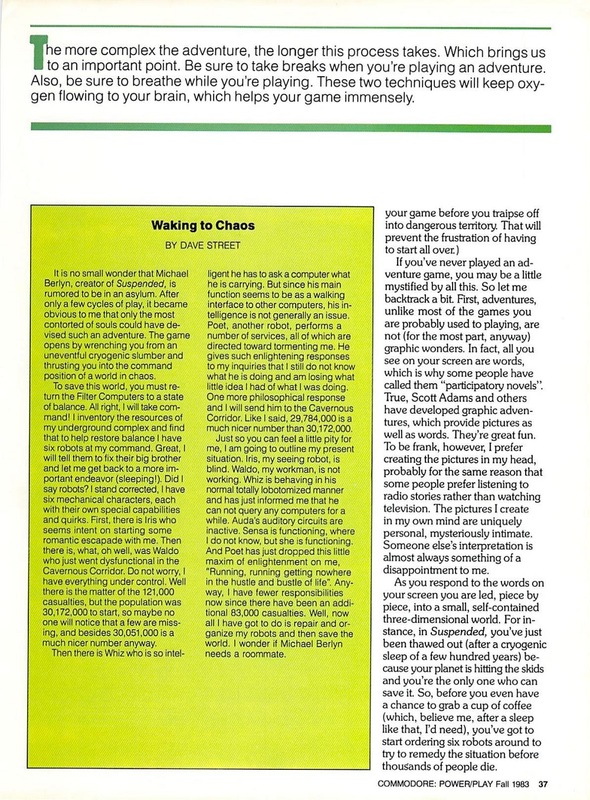 Here’s how Diane LeBold, who started Power/Play in 1982, describes the game genre. 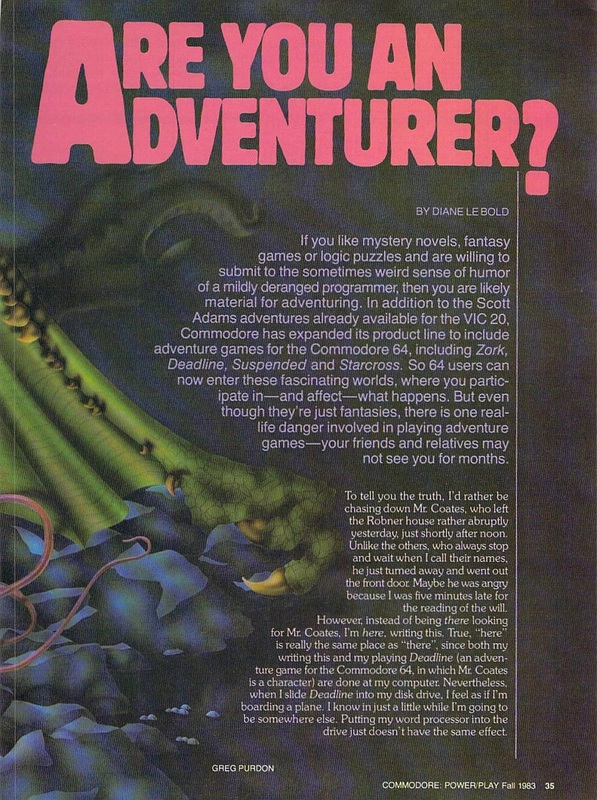 If you’ve never played an adventure game, you may be a little mystified by all this. So let me backtrack a bit. 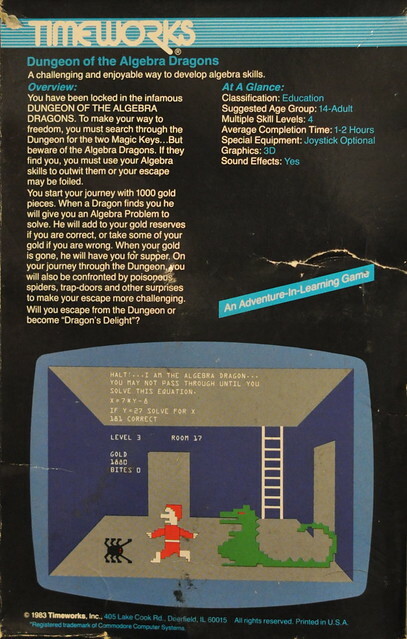 First, adventures, unlike most of the games you are probably used to playing, are not… graphic wonders. 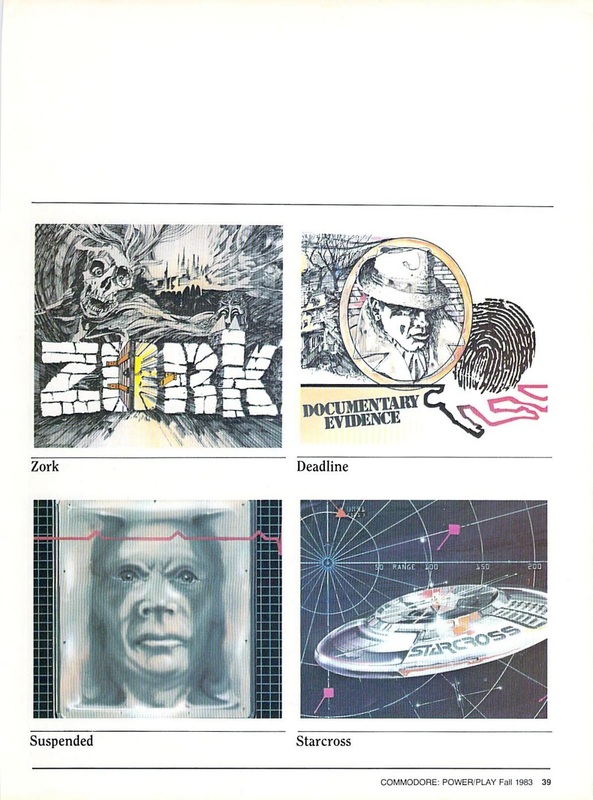 In fact, all you see on your screen are words… True, Scott Adams and others have developed graphic adventures, which provide pictures as well as words. They’re great fun. To be frank, however, I prefer creating the pictures in my head… the pictures I create in my mind are uniquely personal, mysteriously intimate. Someone else’s interpretation is almost always something of a disappointment to me. As you respond to the words on your screen you are led, piece by piece, into a small, self contained three-dimensional world. I have some early press photos of Scott Adams I’ll post a little later. 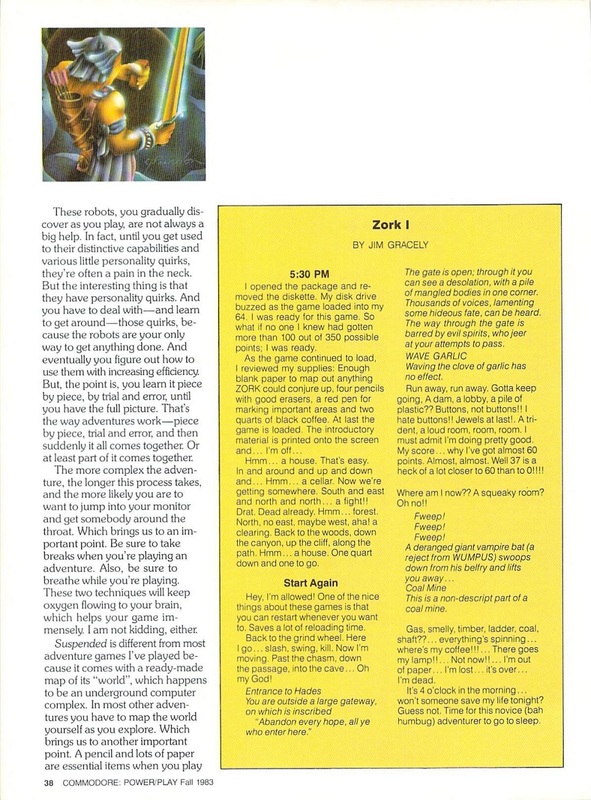 If you want to read more about adventure games, Gaming After 40 has hundreds of smart, comprehensive reviews and walkthroughs, along with other cool stuff related to golden age gaming. 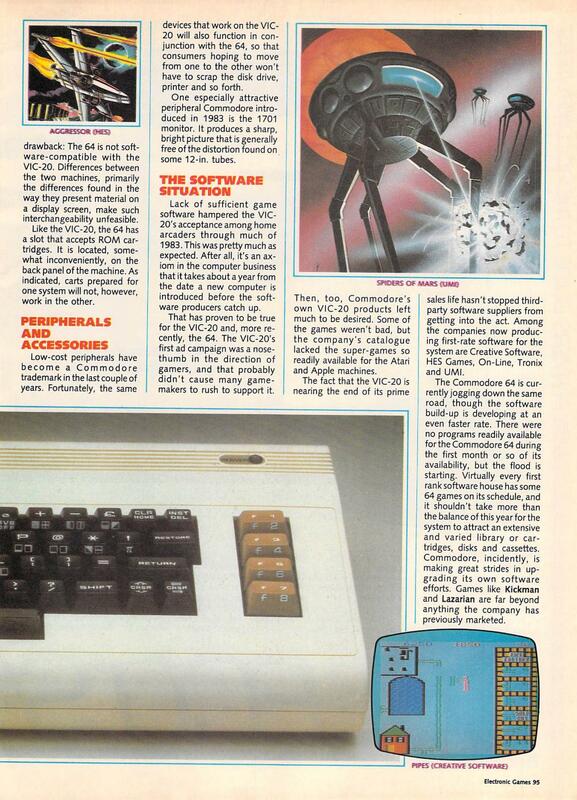 You can read full issues of Commodore Power/Play magazine at the Internet Archive. 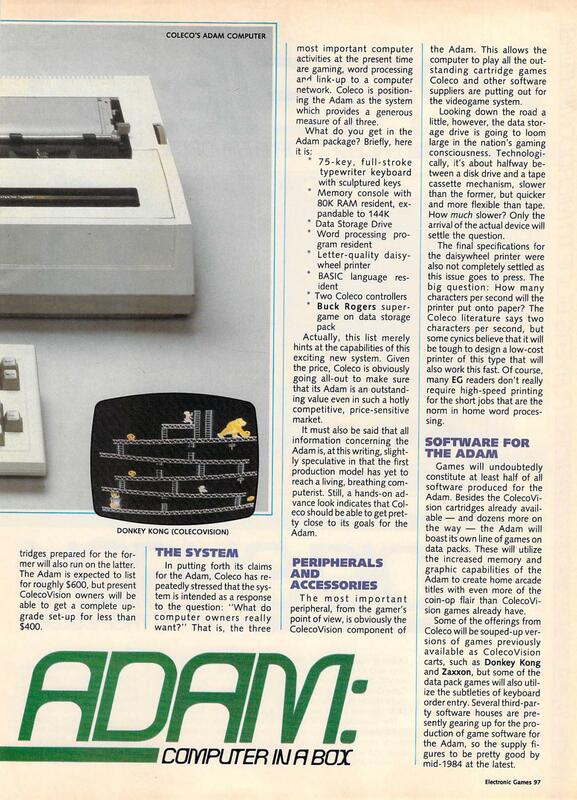 Interesting that Coleco’s Adam, which I’d totally forgotten about, comes in ahead of Apple and the TRS-80. 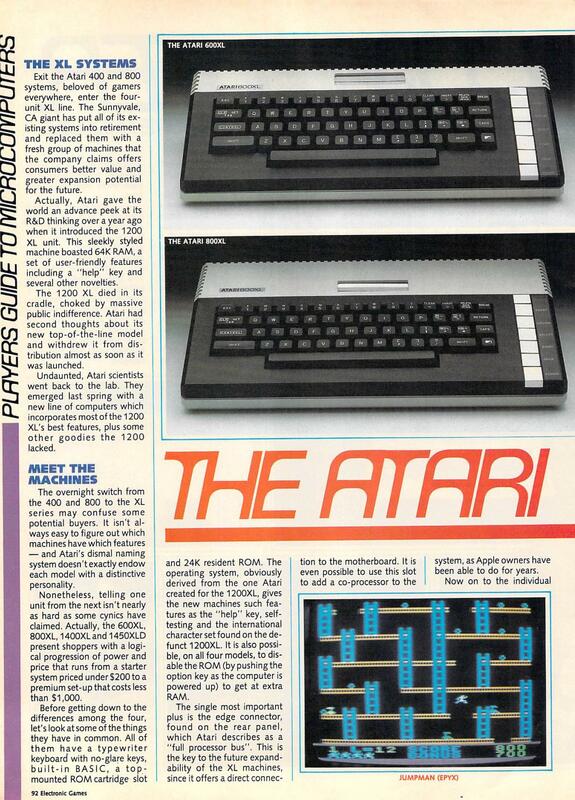 The first computer I got was my beloved Atari 800. 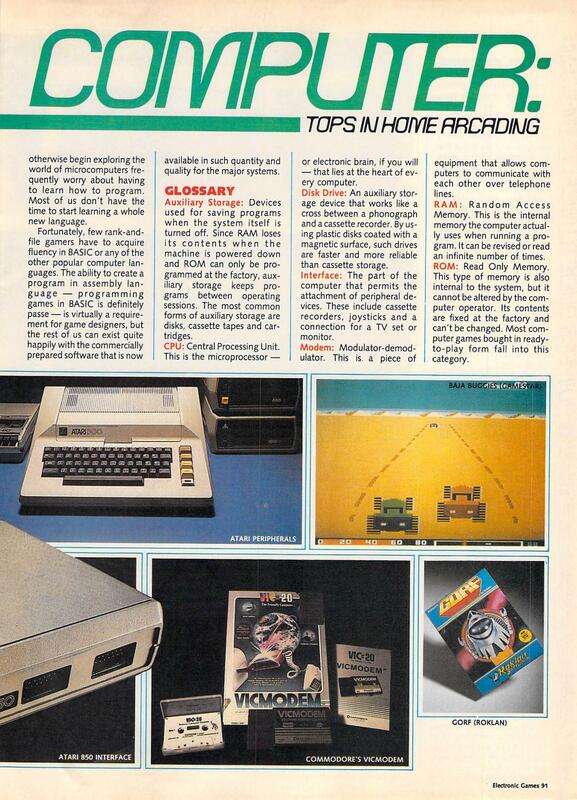 That was about 1983. 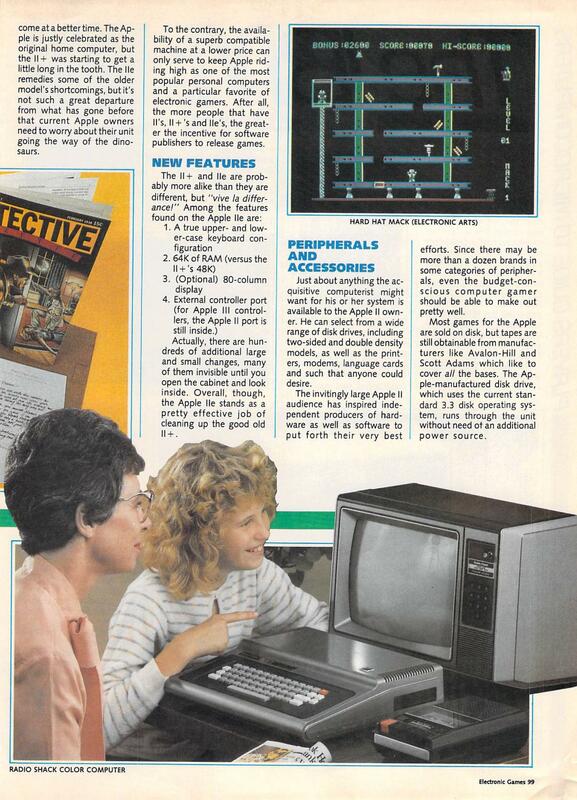 The first “family” computer we got was an IBM PS/2 in ’87 or ’88. My parents got a substantial discount through my high school. 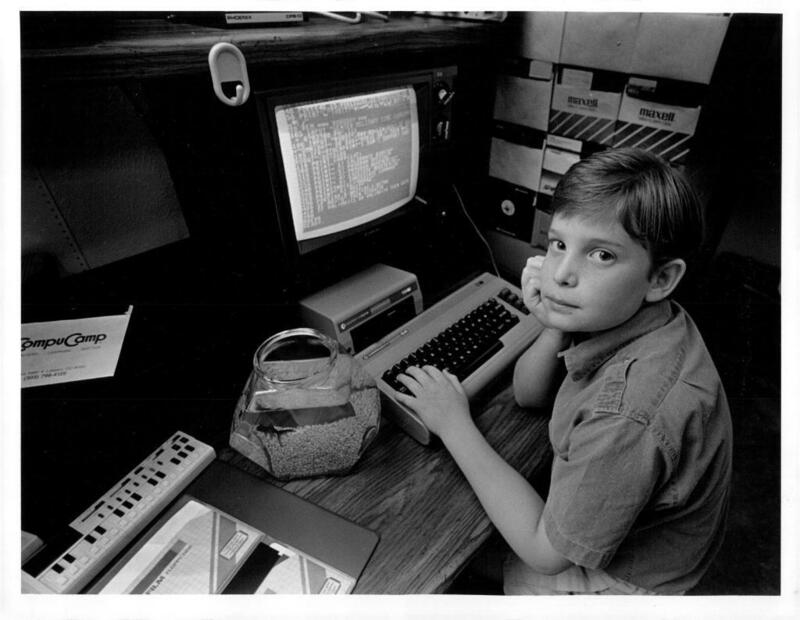 By that time, I had realized that learning how to program and “hack” was hard work, and the games for IBM were pretty lousy. My attention had shifted to Nintendo and my electric guitar—and girls. 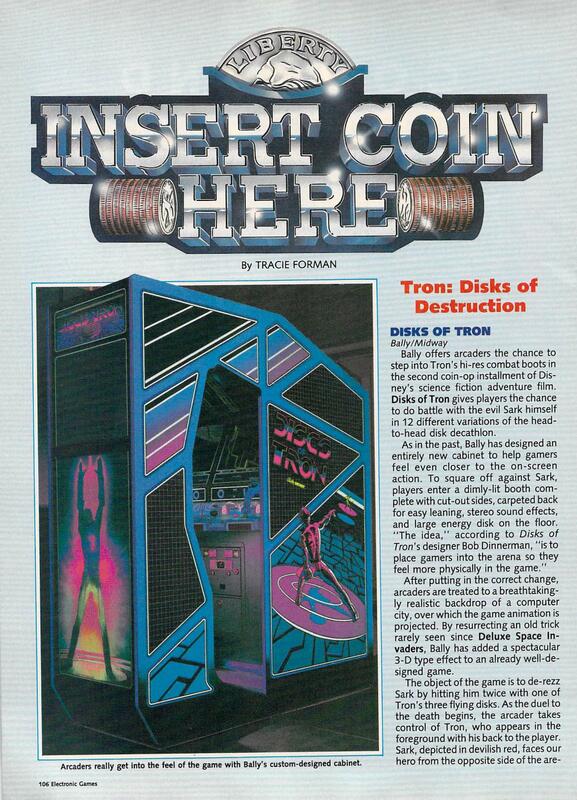 Below is a quick, fun review of my favorite video game ever, Discs of Tron, from the same issue. 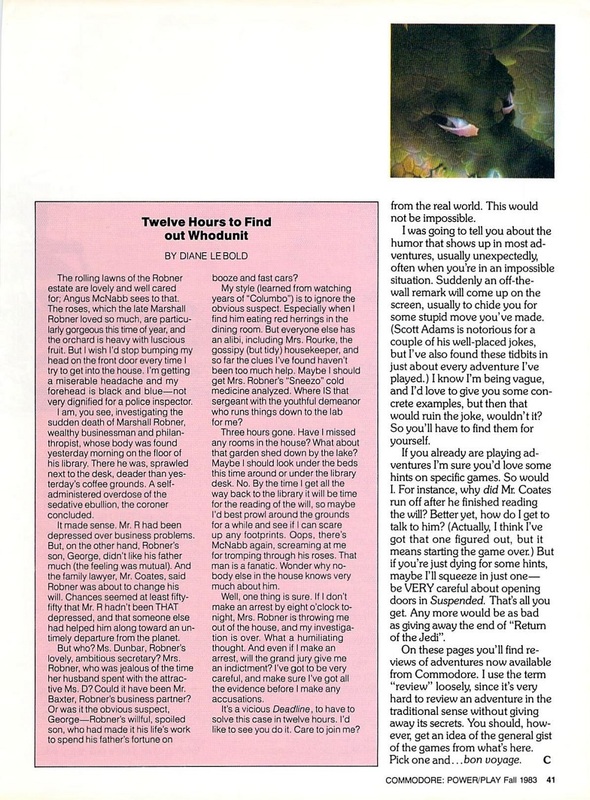 Read the whole magazine at archive.org. Did his parents lock him in the basement, or what? At least he’s got his fish to keep him company. 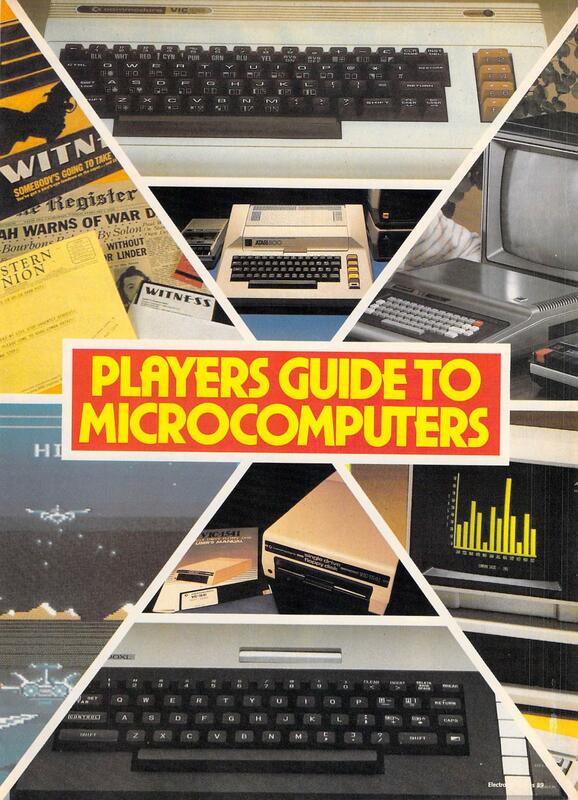 That little keyboard appears to be a Casio VL-Tone clone. 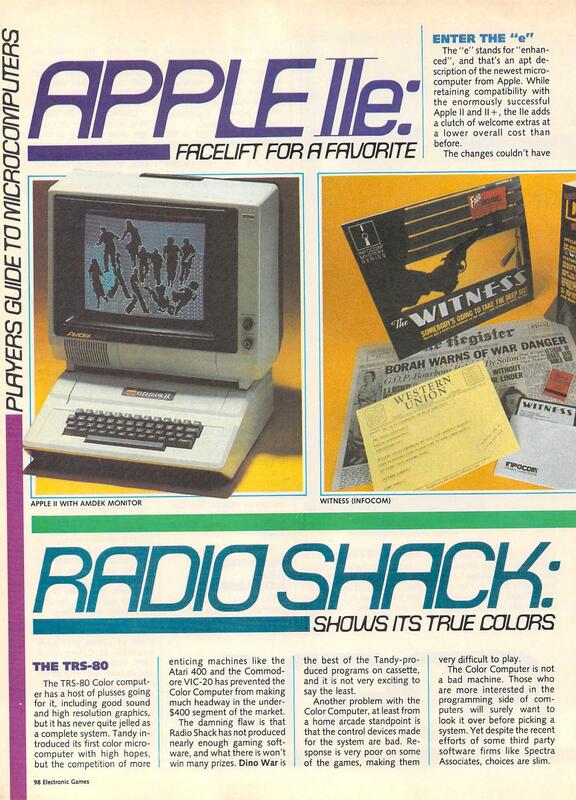 The only thing I can make out on the CompuCamp diskette is the Denver area code, 303. 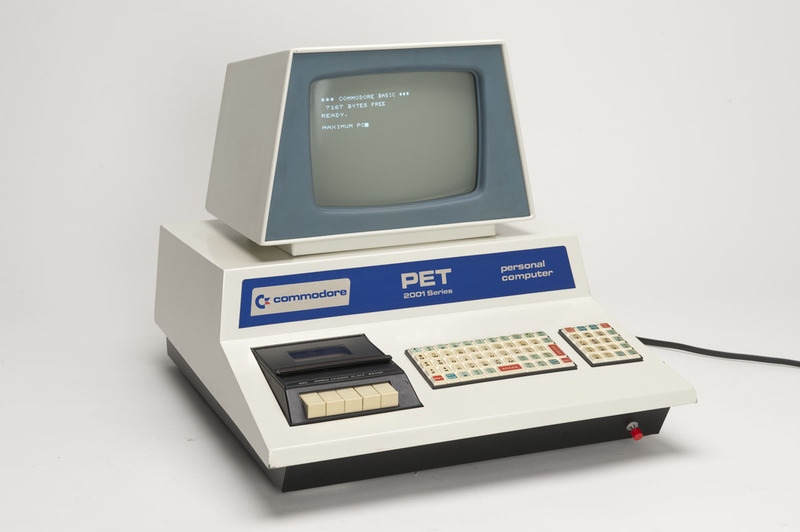 The Pacific Science Center’s PET Computer Lab helps introduce the public to the capabilities and limitations of computers. The Lab features 16 PET microcomputers which are available to Science Center visitors on weekends and weekdays for limited times. 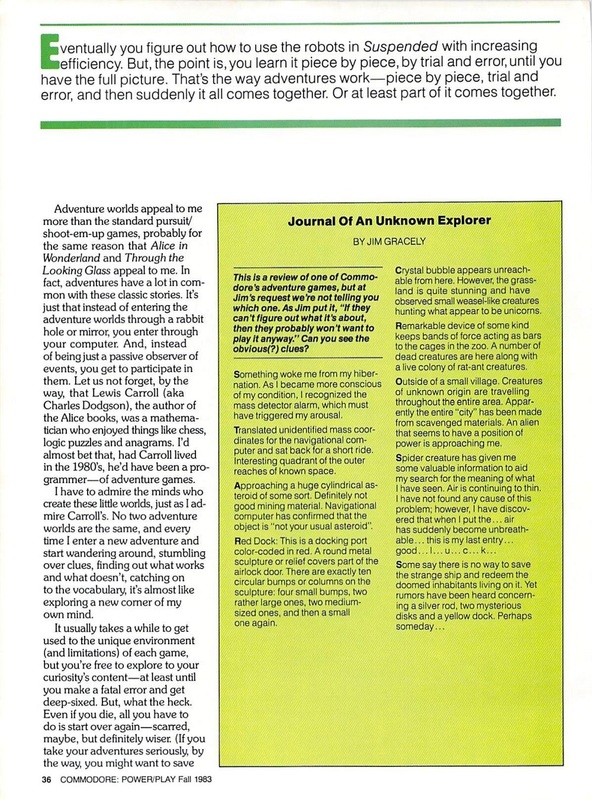 Programs run from games to simulations to educational in nature. The Lab is also used for teacher workshops and School for Science classes, as shown in this picture. 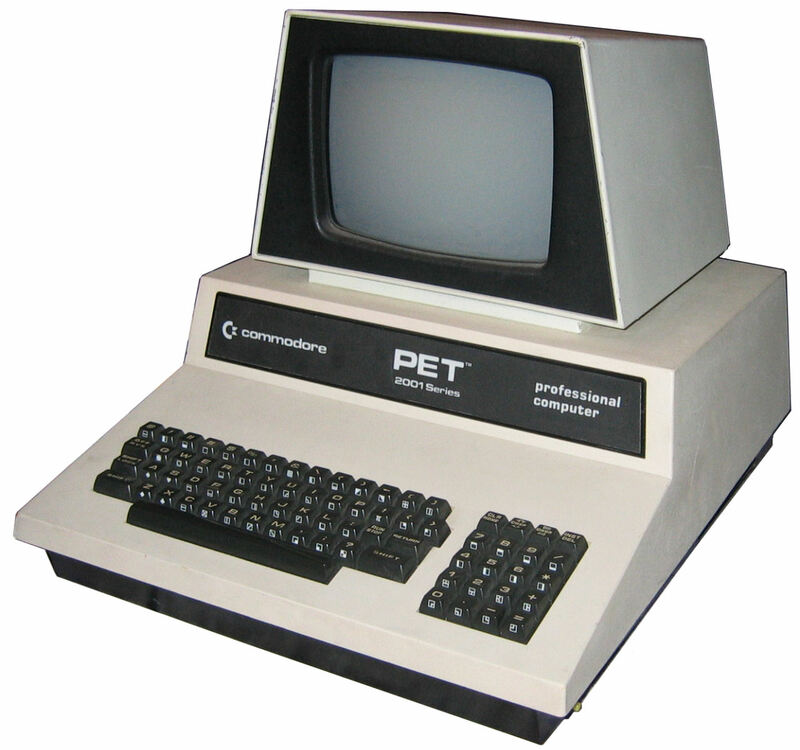 What we have here is the Commodore PET (Personal Electronic Transactor), Commodore’s first true PC, released in 1977. 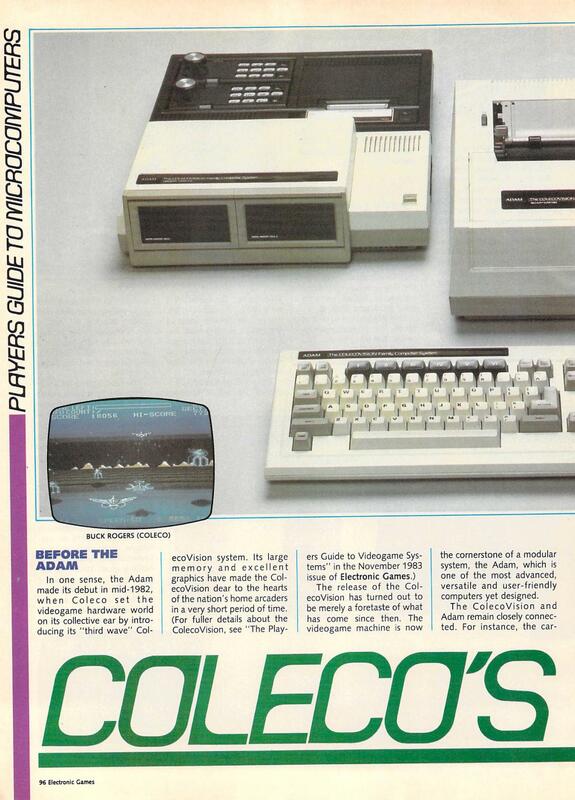 The original model (2001) came with 4K RAM, a built-in tape deck, and a “chiclet keyboard,” as seen below. 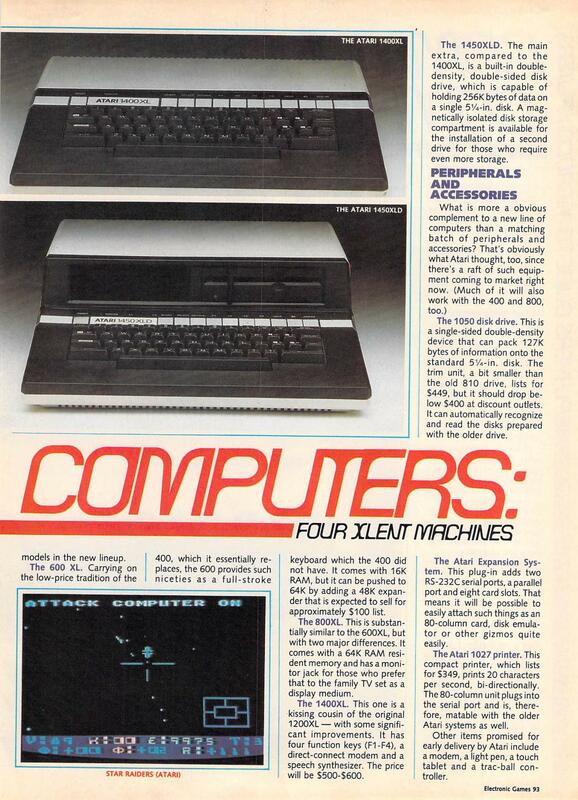 In 1979 the 2001-N was released. 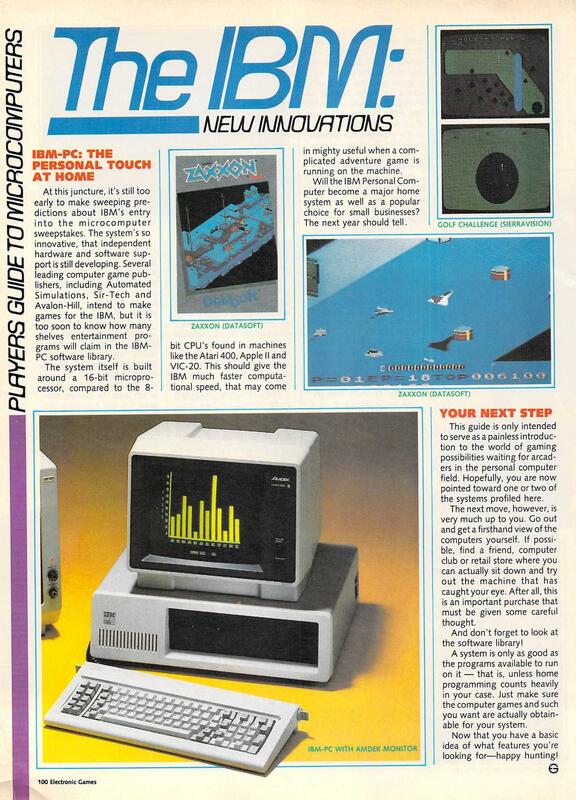 8K, 16K, and 32K models were offered. 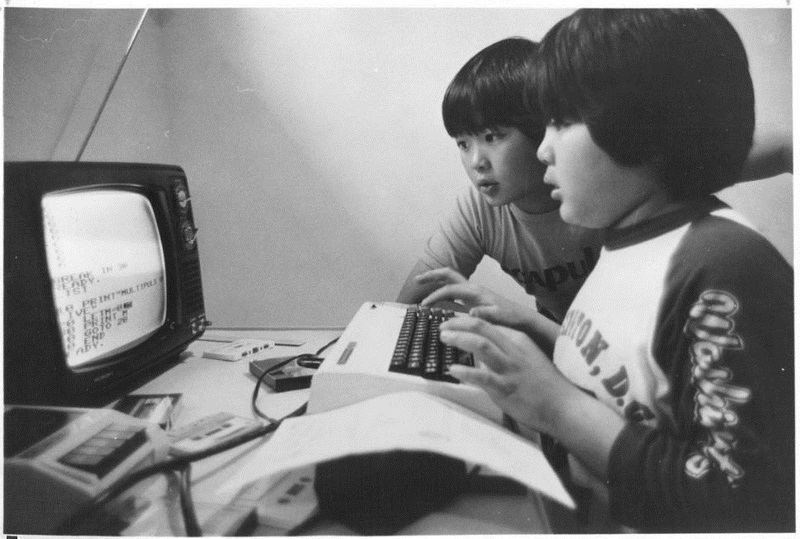 The tape deck was removed, and a full-sized keyboard was added. The 2001-N is what the folks are using in the first photo. Wow, the robot in the first commercial is super annoying. I would like to smash it into little pieces. On the other hand, the kitten in the second spot is super cute. Having the cat play with the computer mouse was actually pretty clever. Incidentally, when’s the last time you saw a cat in a commercial that wasn’t for cat food? 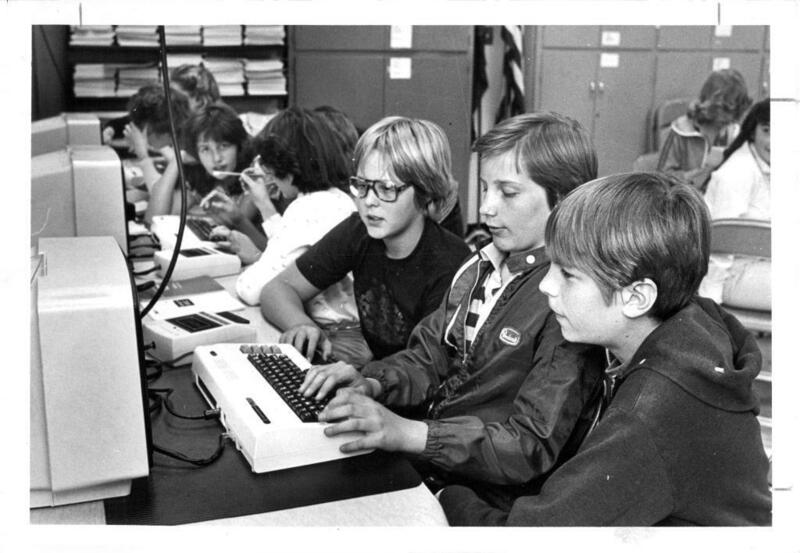 My elementary/junior high school built its first computer lab when I was in 7th grade and stocked it with Commodore 64s. For the life of me, I can’t remember what we did with them. 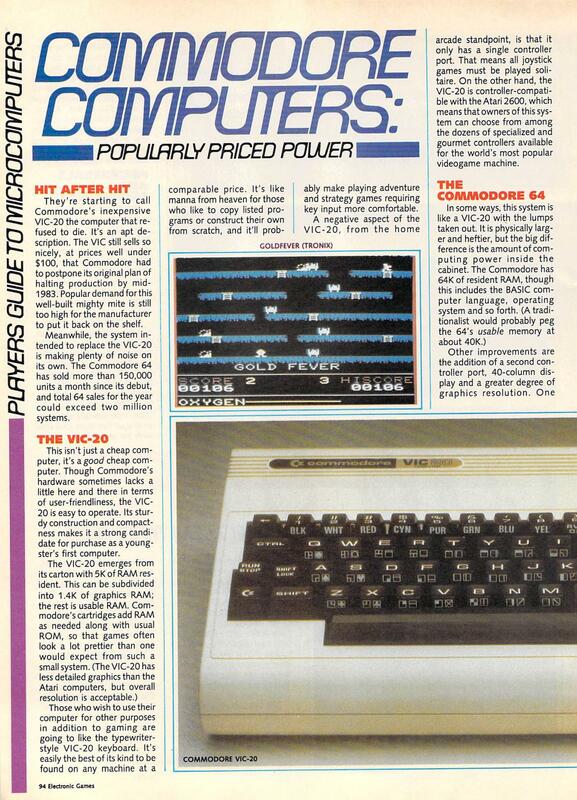 In 1982, the Wentworth County Board of Education decided to purchase three Commodore 64’s for each school. Greensville’s P.T.O. matched this with three more machines. The three board machines worked with five and a quarter inch disks and the other three with data sets which were basically tape recorders. 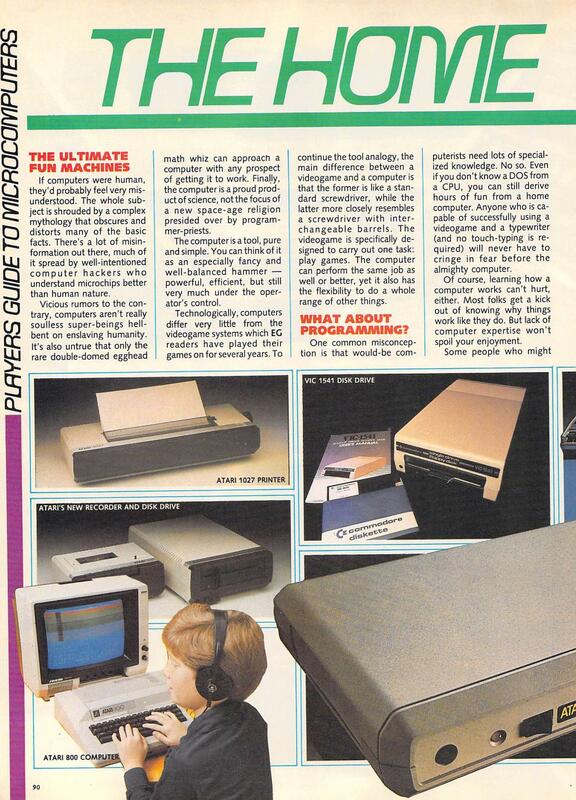 The tape drives were always losing material and it was very frustrating. Fortunately, they were replaced by more disk drives the following year. 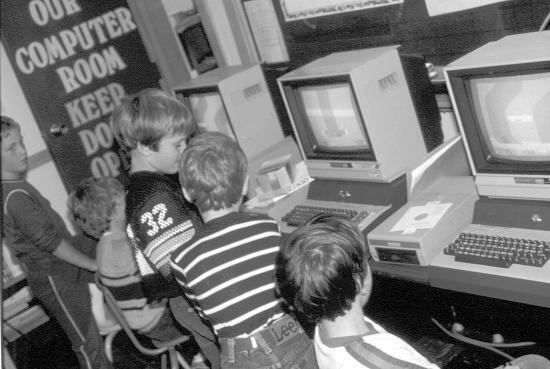 In June 1982, the first computer lab was set up in the old principal’s office. This entailed putting in a wall and extra electric wiring. During September and October, the computer room was out of bounds until everything was checked. 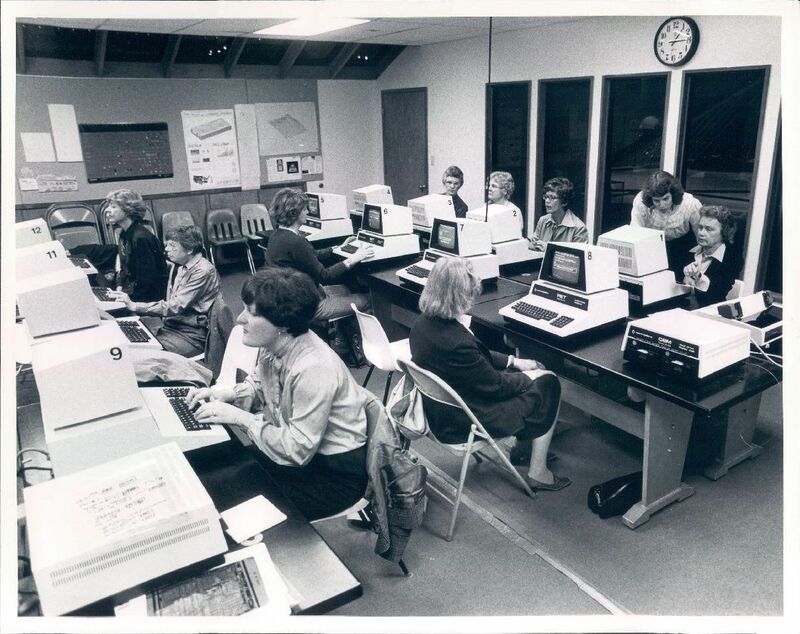 This meant the computers had to be disassembled each night and stored in the computer room and then reassembled the next morning in the classroom next to the computer room.